A CRPF personnel was injured after terrorists lobbed a grenade at a bunker next to the SBI branch in Pulwama on Saturday. 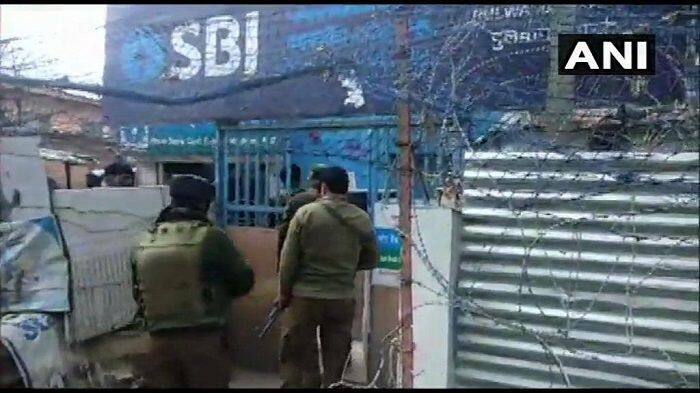 Srinagar: A CRPF personnel suffered injuries on Saturday after terrorists lobbed a grenade at the CRPF bunker next to an SBI branch in south Kashmir’s Pulwama. This incident comes hours after a car exploded near the Jawahar tunnel at the Jammu-Srinagar Highway. A blast occurred in a car in Banihal area of Ramban near the Jawahar tunnel in Jammu and Kashmir. The explosion happened inside a Santro car at the Jammu-Srinagar highway. No casualties or injuries have been reported in the incident. The car driver is said to be absconding. As per the Central Reserve Police Force CPRF sources, it does not appear to be a terrorist attack. “Prima facie blast in the car seems to be a cylinder explosion, CRPF convoy was at a significant distance from the explosion site, does not appear to be an attack. Investigations are on,” the sources were quoted by news agency ANI. According to the Inspector General of Police (J&K), the car in which the blast occurred had hit a bus in the CRPF convoy. The bus suffered minor damage. Reports also suggest that a mysterious kind of white powder has been recovered from the site of the incident.